It's episode 24 and we couldn't think of a better person to talk about this book with! 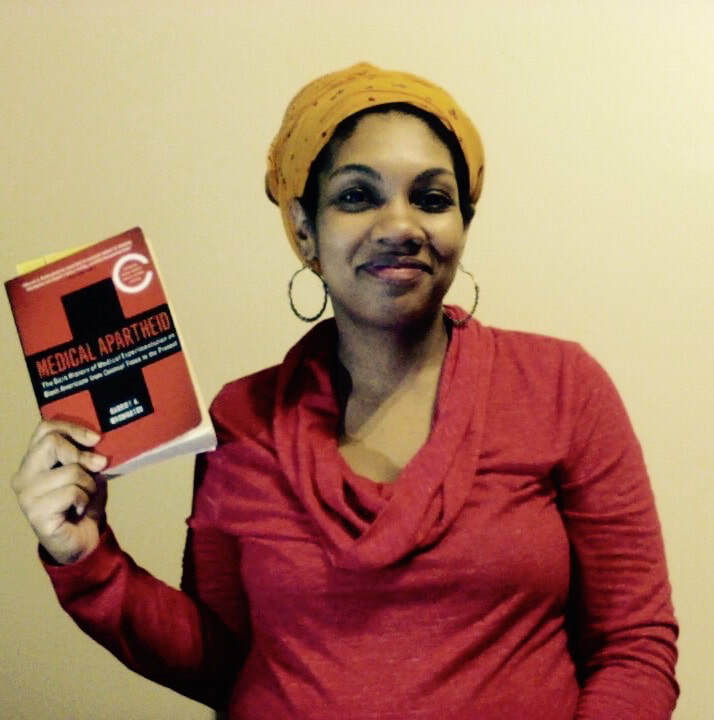 Today Martine Caverl, long time organizer and co-founder of Umedics, breaks down the essential "Medical Apartheid: The Dark History of Medical Experimentation on Black Americans from Colonial Times to the Present." As the book details, Black people have been subject to horrific testing, non-consensual surgeries, and shocking mistreatment since slavery; this is a long tradition of anti-blackness perpetuated as "medicine and science." Medical Apartheid by Harriet A. Washington is the first and only comprehensive history of medical experimentation on Black people. The book brings together almost two decades of research, revealing the deep roots of America's racialized health inequity, as well as facilitating a greater understanding and appreciation for why so many Black people view researchers and the medical establishment with such distrust. Listen, learn, and then support the life-saving work of UMedics. You can read more, request a workshop, and make a donation ﻿here﻿. In what ways has the medical field engaged in anti-black racism historically? Was it limited to denial of treatment, or was there more than that? Was the Tuskegee syphilis experiment unusual? Are Black peoples' fear of doctors justified? How have the civil rights movement and other Black liberation struggles addressed and improved the medical fields (mis)treatment racism? How can health care practitioners better support their Black patients?